“If a member of the European Union is the victim of armed aggression on its territory, other states have an obligation of aid and assistance by all the means in their power.” So says the mutual defence clause in Article 42.7 of the Lisbon Treaty. And in those two short paragraphs lies the crux of the problem hovering on the EU’s southeastern flank. Greece and Cyprus are members of the EU, Greece is also a member of NATO, but so is Turkey. In case of – perish the thought – a conflict with Turkey, where do EU’s loyalties lie? EURACTIV.com contacted the EEAS, the EU Council, and the European Commission, the guardian of the EU Treaties, as well as the two biggest political groups in the European Parliament, the centre-right European People’s Party (EPP) and the Social Democrats (S&D). None of them replied to the question of how the Article 42.7 would be applied in this case, where the offender is a member of NATO. Greece, Cyprus and Turkey have a long list of open issues and their relations have deteriorated lately, as Ankara’s aggressiveness has escalated in the region. Ankara denies Cyprus the right to start offshore drilling for gas in its own economic zone. In addition, Turkish President Recep Tayyip Erdoğan recently said he would send a drilling ship to the seas off Cyprus, only days after the US energy company ExxonMobil abandoned its own survey vessels in the area. 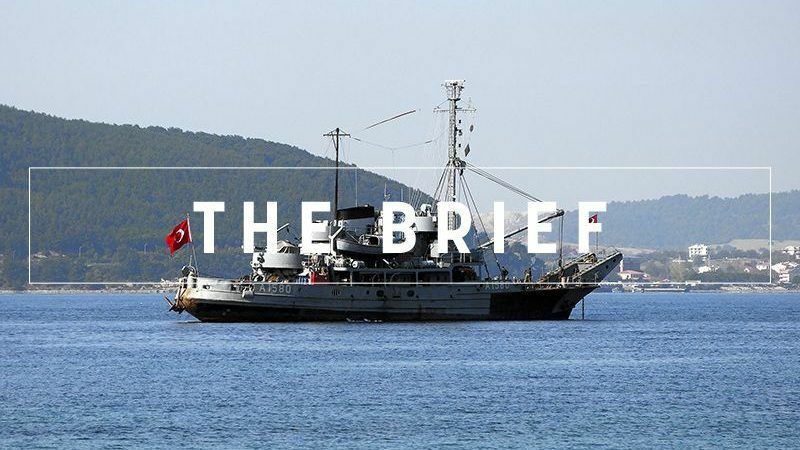 Turkey has also publicly questioned international treaties and Greek sovereignty in the Aegean Sea. Considering the fragility of the situation, interpreting such a politically sensitive article is not easy. But at the end of the day, someone needs to provide clarity. At the 22-23 March summit, EU leaders sent a strong message to Turkey to stop its “illegal activities” in the Aegean and the East Mediterranean. For Greek Alternate Minister of Foreign Affairs Giorgos Katrougalos, the EU adopted its ‘strongest wording ever’ on Turkey. In other words, the EU acknowledged that Turkey’s activities are illegal, but that’s as far as its statement went. Further action may be required should Turkey refuse to comply with the EU’s suggestions. Hopefully, this will end up being a moot point. But surely, European citizens need to know how their treaty translates into reality? By the end of 36 hours of summitry in Brussels, EU leaders had backed Britain by blaming Moscow for a nerve agent attack on a former Russian spy in England, and agreed to recall their ambassador to Moscow. Bulgarian Prime Minister Boyko Borissov has distanced himself from the statement, however. In his view, this only risks further escalating the diplomatic crisis between Europe and Moscow. Leaders also postponed a decision on any retaliatory trade tariffs on the US after President Donald Trump exempted the EU from his ‘America First’ taxes on steel and aluminium imports. They also used the summit communique to give the European Commission one year to propose a 2050 climate strategy for the bloc. In the political world outside the Justus Lipsius building, the Centre for European Reform’s Beth Oppenheim warns that a Ukraine-style association agreement, backed by the European Parliament to resolve the Brexit dilemma, won’t satisfy the UK. The UK’s exit from the EU has re-opened divisions between the central government and the devolved parliaments and city mayors, amid accusations of a London ‘power grab’. Cecile Vernant of Deutsche Stiftung Weltbevoelkerung says that the next EU budget must establish the bloc as the world’s leader in financing the health research that will end poverty-related diseases such as tuberculosis. Finally, the most famous four-column documents in Brussels could remain secret no more, after a European Court of Justice ruling stated that the results of ‘trilogue’ meetings that decide EU laws are a “decisive’ stage of EU law-making and should be made public on demand. World Tuberculosis Day on March 24. “Greece and Cyprus are members of the EU, Greece is also a member of NATO, but so is Turkey. In case of – perish the thought – a conflict with Turkey, where do EU’s loyalties lie?”…………with Greece – I would have thought that was obvious.